While flipping through the atlas of Chang Ch’i-yun, one of China’s most famous geographers, distinguished translator Bill Porter (Red Pine) developed a curiosity about the southwestern province of China. Dubbed Yun-nan, “South of the Clouds,” this was the last area modern China to come under Chinese control. Originally conquered by the Mongols and eventually introduced to foreigners as a vibrant setting for trade, Yun-nan became a critical crossroad connecting East and West. In 1992, Porter left his home in Hong Kong to tour the small towns and major cities of Yun-nan, studying each of their local cultures and larger impacts on the trajectory of Chinese history. Here, he shares his encyclopedic knowledge of the nation’s beautiful legacy while introducing new insight about the province’s landscapes, people, and recent state of affairs. He visited Bulang Mountain, where the local people had no written language of their own, so they sent their children to live as monks in nearby Tai temples to learn Tai script. He saw women in Lijiang who wore traditional sheepskin jackets that bore seven frogeyes without clear explanation. In Dali, a small town turned urban center, he recalls a massive museum built to show off the city’s new wealth, only to have half of its halls left empty and unvisited. 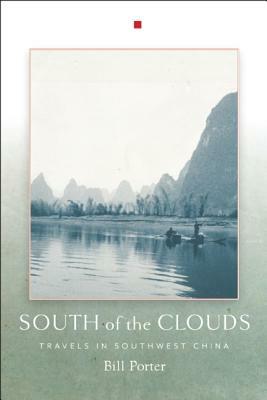 The first of a series of three China travel memoirs to be published by Counterpoint, Bill Porter’s book tells the incredible story of a spread of land with a thousand years of human history. His remarkable insight and unparalleled understanding of China place this book at the forefront of East Asian travel literature. BILL PORTER (also known by his translation name, Red Pine) was born in Los Angeles in 1943 and attended graduate school at Columbia University. An acclaimed translator, his published works include three major Buddhist texts: The Platform Sutra, The Diamond Sutra, and The Heart Sutra. He is also the author of Zen Baggage, Road to Heaven: Encounters with Chinese Hermits. He has lived in Taiwan and Hong Kong, and has traveled extensively in China, visiting Zen temples and seeking out hermits. He lives in Port Townsend, Washington.